Over 30 years of flooring installation and supply expertise offered to commercial and domestic customers throughout Leicestershire and the Midlands region. 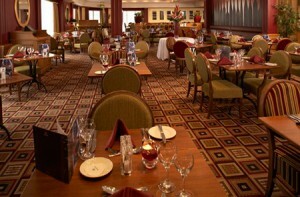 Foods, KFC and Subway, as well as many local authorities and private customers across Leicestershire. 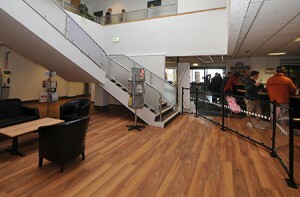 The company is owned and operated by a highly experienced management team who bring decades of expertise in commercial and domestic flooring installations and products by their own companies, as well as time served with major contractors like Axiom and qualifications in construction management. Our installers and fitters bring similar amounts of practical expertise in all kinds of floor coverings with a full apprenticeship scheme, everyone carrying CSCS approved cards and closely following company policy on quality, service and safety. We focus strongly on a high-end service that utilises the best materials and flooring products from trusted, market leading brand names like Polyflor, Amtico, Karndean, Brintons, F Ball, Parkett and Altro. This all round focus on quality has ensured us status as a member of the Contract Flooring Association for many years; guaranteeing clients a high standard of professional workmanship accurately quoted and delivered on budget and on schedule. Over 30 years of experience has given us a high degree of specialisation within flooring, evident in our abilities for sub floor preparation on behalf of many architects or for seeing the wider potential in many products. Commercial heavy duty PVC flooring was developed for commercial and industrial environments, but with the latest wood-effect colouration it makes a great looking and incredibly practical domestic flooring surface as well. 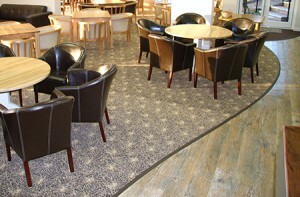 Whatever your floor covering requirements at work or at home; J & S Flooring are the Leicestershire specialists. Based in Leicester, we work throughout the surrounding Midlands and sometimes as far away as London, Bristol, Manchester or Liverpool for commercial clients. The area we typically cover includes Leicestershire, Rutland, Northamptonshire, Warwickshire, Staffordshire, Derbyshire, Nottinghamshire, Lincolnshire, Cambridgeshire, Bedfordshire, Worcestershire, Shropshire and Cheshire. 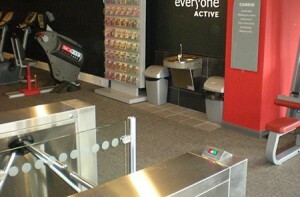 You can see some of our most recent work in our installations portfolio. Get the very best in domestic and commercial flooring and carpet installations throughout the Leicester and Midlands region at J and S Flooring; contact us today to arrange a no-obligation survey and estimate with one of our friendly and experienced team. Registered Address: Unit 20, Enderby Road Industrial Estate, Whetstone, Leicester, LE8 6HZ.